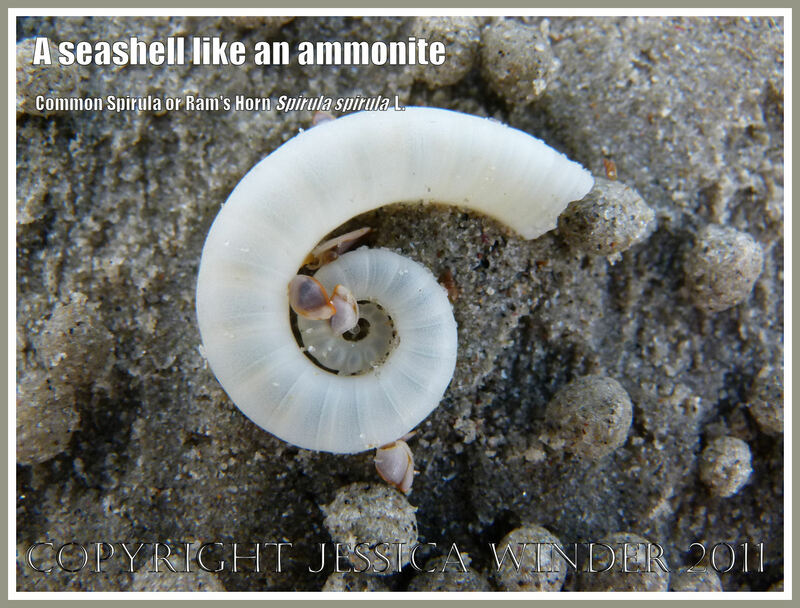 Most seashells with a coiled shape are Gastropod molluscs – like the common winkles and whelks. However, the small, loosely-coiled seashell from Myall Beach at Cape Tribulation in Queensland, Australia, shown here belongs to the Cephalopod molluscs. The most commonly-occurring Cephalopod molluscs at the present time are animals without external shells. Examples of these include the squid, and cuttlefish – which have a reduced internal skeleton – like the familiar cuttlefish bones found so frequently on beaches. Octopuses are also Cephalods. We know from the fossil record that, in the distant past, there were many cephalopods with external coiled shells; and these were called ammonites. There are several earlier posts in this blog about fossil ammonites. There is a similar loose coil shaped Cretaceous ammonite called Aegocrioceras quadratum (Crick) found in the UK. There are a still a few modern Cephalopod species which retain an ancestral-style external coiled shell such as the ones found as Ammonites. These include the Nautilus and and Paper Nautilus group of species. Less commonly known is the single species of the single genus belonging to the family Spirulidae – shown in the photographs here. This is the Common Spirula or Ram’s Horn (Spirula spirula L.). You can see through the fragile translucent shell to the internal septa or partitions that divide the shell up into the compartments that are so familiar from ammonite fossils. The octopus-like animal itself would have in life mainly occupied the outermost compartment, with its swimming tentacles protruding from the circular opening. Apparently the shell of the Common Spirula is found on beaches all over the world but the living animal is rarely seen because it is a pelagic deep water form. This particular shell specimen has washed ashore with minute goose barnacles or stalked barnacles attached to it. The small balls of sand on the beach with the shell are made by the many burrowing Bubbler Crabs that inhabit this tropical shore. It’s a very pretty shell. Thanks for sharing! Walking along the shore here in Nova Scotia (near Halifax), I often come across plastic tampon applicators littering the beach. After a heavy rain our filtration plant overflows … Oh how we treat this planet ! Thanks, Angelina. 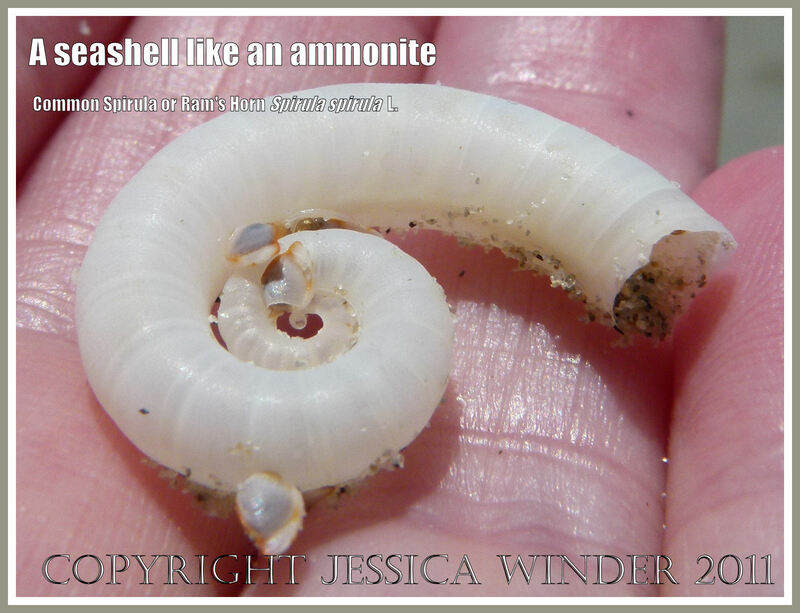 It was just one of many pretty shells I found on my trip to Australia – it was, however, one on the most unusual. 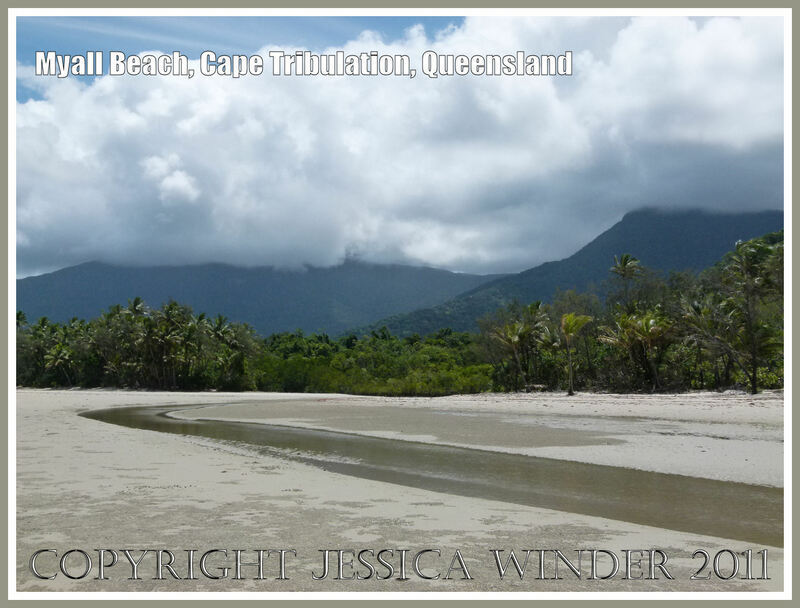 One of the big differences I noticed on the beaches of Far North Queensland, compared with many shorelines here in the UK, was the almost total absence of man-made rubbish on the strandlines. I remember ammonites from the novel “The French Lieutenant’s Woman” in the 1970s. 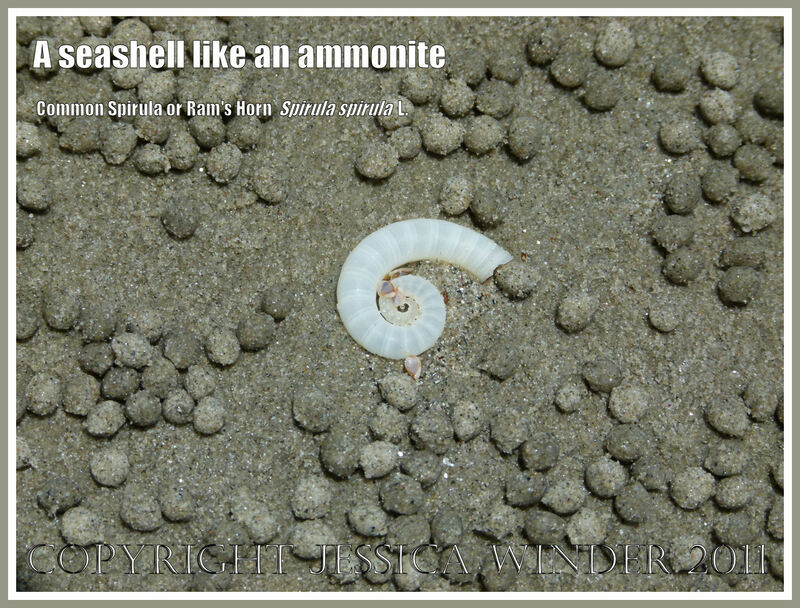 There are certainly lots of ammonites on the beaches at Lyme Regis which was the setting for the novel – many of them considerably larger than this little shell – maybe around 20 inches (50 cm) in diameter.